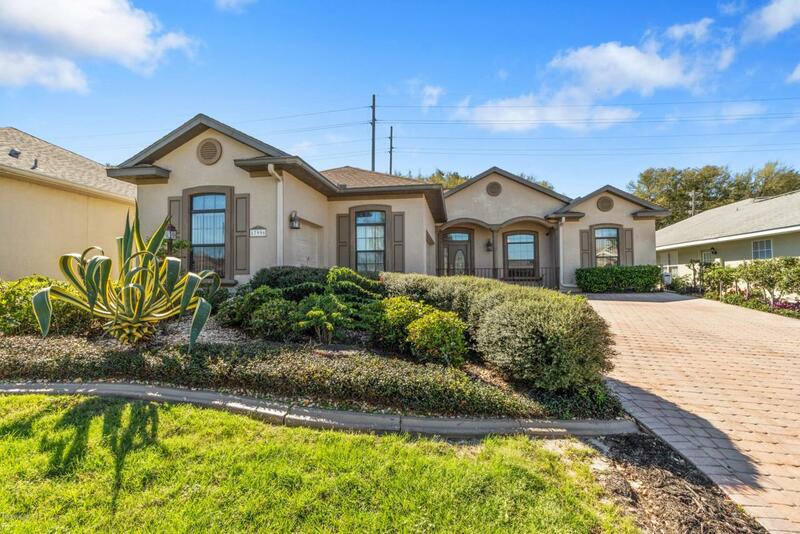 Beautiful 3/3 pool home in the 55+ community of Stonecrest, within minutes to The Villages! Stonecrest is a private/gated community offering 4 pools, golf, etc. & within minutes to convenient stores! Custom built home with 10' ceiling, golf cart garage, & indoor year-round HEATED POOL. Tile flooring in living room, dining room, & all wet areas! Open floor-plan so you can watch TV or conversate with your guest in the living room when cooking. Walk-in closet in master bedroom. OVERSIZED garage with ton of natural light & side door. 6 month minimum lease required.